A judge on Thursday ruled that defendants Derick Almena and Max Harris will go to trial on involuntary manslaughter charges in the deaths of 36 partygoers in the worst building fire in the U.S. in more than a decade. Alameda County Superior Court Judge Jeffrey Horner said prosecutors presented enough evidence to move forward with their criminal case against Almena and Harris. 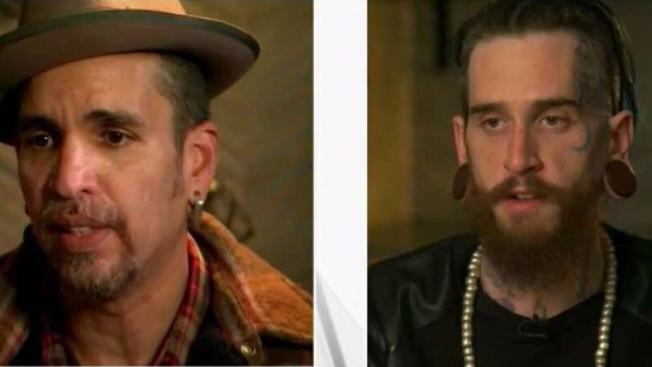 He said witnesses during the hearing described the Ghost Ship warehouse as a death trap. "Whose responsibility was that? I think there is very strong evidence to support the conclusion that it was the responsibility of these two defendants,'' he said. Almena rented the Oakland warehouse known as the Ghost Ship that burned on Dec. 2, 2016, during an electronic music concert. Harris also lived in the building, and a witness testified that Harris was in charge of the unpermitted concert. The warehouse had been illegally converted into living space for artists, was cluttered and had no fire sprinklers. Prosecutors say the men knowingly created a firetrap and deceived the building's owner, police and fire officials about people living there. The two have pleaded not guilty and say they are being scapegoated. Oakland was criticized following the blaze for a series of failures that allowed the warehouse to function illegally despite numerous complaints to city officials. The judge ruled after several days of testimony that provided a glimpse at prosecutors' case against Almena and Harris. Aaron Marin, a musician who lived at the warehouse, called it a "museum'' filled with musical instruments, trailers and other items. But he testified that he didn't consider it a fire hazard while he was there. Marin was able to escape the flames the night of the fire by jumping out an upstairs window. He said the window was blocked by a giant projection screen, so it wasn't visible to most people. A second witness, Jose Avalos, testified that he was among 15 to 25 people who lived at the warehouse at any given time and that he paid his rent of $565 a month to Harris. But he disputed that Harris was second-in-command at the warehouse and said everyone pitched in to maintain the community. Avalos also said police were called to the building several times to help with evictions before the fire and even knew the leaseholder by name.